In the three months to March 31, biology-focused companies raised $74.3 million in equity funding, filed a prospectus for a stock market listing and announced a $145 million plant expansion. Behind those headline items, things are happening that should support the long-term outlook for the sector. 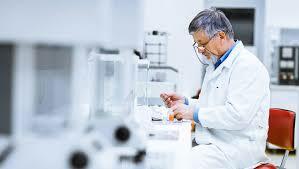 These advances are important because things move slowly in the biotech space. An IT company can produce revenues within months if the stars are aligned, but life sciences ventures need years of research and regulatory approval. So big news in the sector is usually the result of years of work. The biggest recent news has been the landmark US$30 million (C$40 million) funding announced earlier this week by Halifax medical device company ABK Biomedical – Atlantic Canada’s largest venture capital deal ever. It came days after drug discovery company Appili Therapeutics said it had raised $3.8 million through a private placement and filed a prospectus for its listing on the TSX Venture exchange. Assuming it’s successful, Appili will be the second Halifax life sciences company to gain a public listing in two years, as Sona Nanotech listed on the Canadian Securities Exchange last year. Immunotherapy specialist IMV is already listed and used the strong rise in its share price over the past two years to raise $29.5 million in March. The above are all the announced equity investment deals that closed in the first quarter of 2019. (Fredericton-based Sonrai Security announced a $28 million raise in January, but that deal closed in December 2018.) This means that 96 percent of the equity capital raised by Atlantic Canadian startups in the quarter was attributed to life sciences. For all of 2017 (our most recent data) the total funding by life science enterprises amounted to 24 percent of the total. Add in that Charlottetown drug-manufacturer BioVectra Inc. unveiled a five-year, $144.6 million expansion project, and you’ve got quite a quarter. No one expects the bio companies to dominate the East Coast innovation news in the future as they did last quarter, but things are heading in the right direction. There’s now more coordination between the biotech agencies in the four provinces, due to the Atlantic Growth Strategy (a federal-provincial initiative) and Emergence, an incubator based in Charlottetown whose work extends beyond P.E.I. The province to watch in this space is Newfoundland and Labrador, which produced almost half the new life sciences companies in the region last year. In St. John’s, a new group called Bounce Health Innovation includes the local health authority in developing innovation. It means doctors and health administrators contribute to and test new products – which happens all too rarely in the region. One final bright spot about life sciences is talent. The growth in IT is constrained by the shortage of developers, but you never hear life science companies complaining about difficulty finding biologists.